If you have a Heathrow Rewards account, you probably received an email on Monday regarding a new bonus promotion at World Duty Free and a handful of other stores. This offer is targetted and personalised. I was offered 1,000 points for spending £100+ whilst my wife was offered 1,000 points for £100-£199 and 2,000 points for £200+. There was also a 500 point bonus for a £50+ spend. This promotion has a sting in the tale. First, go back 6 weeks. Heathrow Rewards recently announced a new deal with Emirates Skywards. As well as transferring your Heathrow Rewards points into Skywards miles, you can also move Emirates miles INTO Heathrow Rewards. The ratio is not great. 6,000 Emirates Skywards miles only gets you 2,000 Heathrow Rewards points, worth £20 of shopping vouchers. However, as Emirates miles have a very tough expiry policy, this is a far better deal than watching your miles die off. 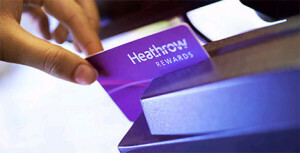 As part of this arrangement, Heathrow Rewards created a new category of points – ‘bonus points’. Bonus points may NOT be converted into airline miles. This was done in order to stop you moving your Emirates miles into Heathrow Rewards and then onto Avios, Virgin Flying Club, Miles & More or Etihad Guest. It seemed a lot of kerfuffle just to keep Emirates happy. It seems, though, that Heathrow Rewards had a bigger goal in mind. This means that you CANNOT earn yourself 1,000 Avios points by spending £100 in World Duty Free. The 1,000 points you will receive are only redeemable for £10 of Heathrow shopping vouchers, £10 of Heathrow Express credit or £20 of Heathrow Parking credit. This doesn’t make it a terrible offer, of course. You can use it alongside the current American Express £10 cashback on £70 World Duty Free spend offer (check your online statement to see if you are targetted) and alongside one of the many ‘£5 off £75 World Duty Free spend’ coupons you can find online. Overall you will still get a juicy saving if you combine all of these deals. PS. Arguably, converting Heathrow Rewards points into airline miles was not great value anyway. As the choice is 1,000 Avios or a £10 shopping voucher, you are effectively paying 1p per Avios point. This is OK but not much more. Thistle quietly losing two-thirds of its hotels on July 30th! Presumably the 1000 bonus points via the Etihad signup link will still convert to 1000 etihad guest miles? I hope so as we are making our one annual trip to Heathrow today on the way to the USA and plan on spending to trigger that Etihad bonus! Hopefully, would be odd otherwise! Not a huge fan of these FlashMail ads – giving lots of irrelevant ad suggestions over words! Eh? Nothing to do with me! Virus on your PC? I’m not affected either Oli – more likely than a virus is a piece of ‘crapware’ like a browser toolbar. Do you think that the following reduction in the USA AMEX Membership Reward > Avios conversion rate is likely to come to the UK AMEX Membership Rewards program? No. That was done to make Amex US less attractive than Chase which is BA’s official partner.